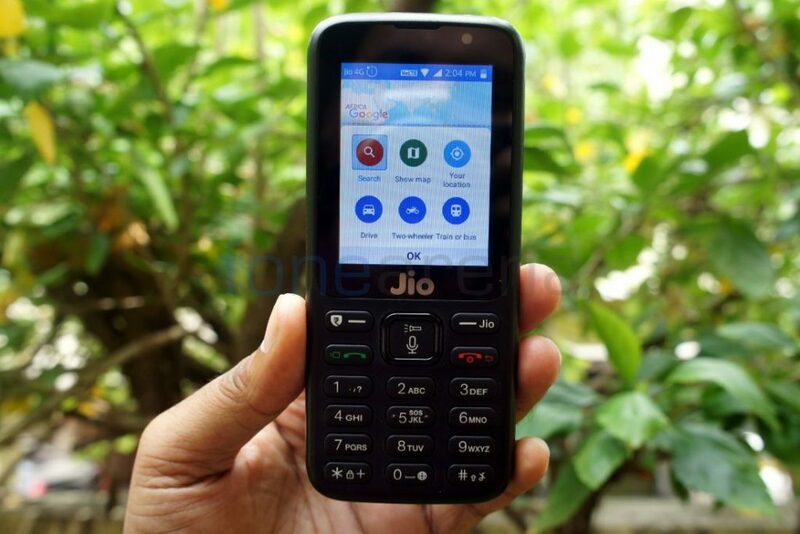 JioPhone got Facebook app back in February this year, last week at the AGM the company has confirmed that YouTube, WhatsApp and an improved Facebook app are coming to JioPhone from 15th August. Today the company has pushed a new software update that brings Google Maps to the feature phone. The app has been built specially for Jio KaiOS, a web based operating system designed for JioPhone, so that its users get the best experience. It should be available for JioPhone 2 out of the box when it releases next month. After a new software update, you have to head to JioStore to download the Google Maps app on the homepage. This offers limited features like find places, get directions, explore the map, and get your bearings. You can see data like current traffic or bike routes. You’ll see this information in layers, or special map views, Search for specific places or Search for types of places and see See your current location on the map. Since Google Maps is available for KaiOS-powered JioPhone, it should also be available in the future for Nokia 8110 4G based on the same OS.